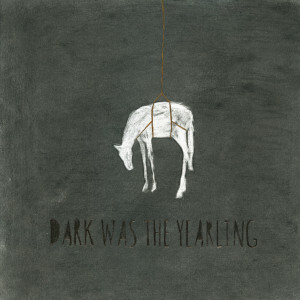 Dark Was the Yearling is the debut LP from roots revivalist The Bones of J.R. Jones, otherwise known as Jonathon Linaberry. Linaberry, a New York City native, who mostly performs as a one man band has been cultivating a dark, bluesy stomp that recalls the ghosts of past blues legends like Son House, Robert Johnson and Mississippi Fred McDowell since he released his EP The Wilderness in 2012. Dark Was the Yearling, in many ways, continues where The Wilderness left off — the dark characters, raw production, and haunting, tweaked out blues stomps remain– but Darkness Was the Yearling also signifies a step forward for Linaberry both as a writer and producer. The songs on Dark Was the Yearling can be divided into two camps: the dark hill country blues stomps and folk, and with the exception of “St. James Bed,” and “Ticket Home” (a great eerie tune that falling starts with ghostly field chants) all the tunes on Yearling fall squarely into one of those two categories. Luckily, the production remains consistent between the two styles, keeping the album from sounding confused or disjointed. The blues tunes are full of dark characters doing grim, shadowy, deeds. On “Good Friend of Mine,” Linaberry sings “Oh you know you’ve done me wrong/ And I am going to put you in your grave,” and on “Ticket home,” a song about a criminal, he sings “The Devil’s gonna chase me, cause I ain’t going quietly/ I’m gonna tire him out.” The Devil and soul selling are common themes, and at times Linaberry has a tendency to resort to blues cliches like trains, turpentine, and misbehavin‘ women who need to be straightened out. That’s not entirely a bad thing, as it pays respect to the themes of past blues masters, but it makes the songs less personal. It’s especially apparent when compared to his folkier songs like “Racing Heart,” “The Plan” “Broken Land,” songs that deal with love, escapism, and struggling with the inevitable changes associated with getting older respectively. Lyrically, these songs show a more personal side of Linaberry and not only serve to make Yearling a more intimate, interesting listen, but they a little light to what could otherwise be a stiflingly bleak album. Dark Was The Yearling is a strong follow up by a talented New York musician, and Linaberry’s dedication to roots music both as a writer and producer is refreshing, honest and certainly worth a few listens.